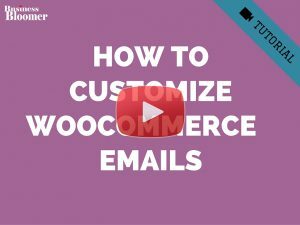 If the WooCommerce product sorting functionality (“Default Sorting” dropdown) is a waste of space or you don’t need that select box at all, you may want to remove it. 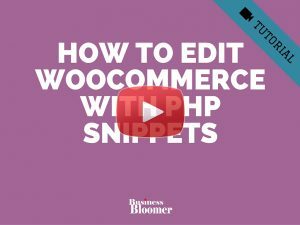 This PHP solution is simply cleaner than CSS – and no matter if you code or not, you just need to copy/paste my snippet in your theme’s functions.php. Hi Roldofo, appreciate the blog, but it quite work for me either… for a couple of reasons that I was able to figure out. I just used this great tip today in Storefront with success. Hey Javi, thanks for your comment! It works on my end, so could you be more specific i.e. what did you do recently on your website? Hey Keely – thanks so much for your comment! Did you try snippet 2? I can’t reply to your question under it so I’m commenting here. I tried the second snippet and that didn’t work either. Pasted into child theme’s functions file. Keely, maybe it’s your theme’s fault. 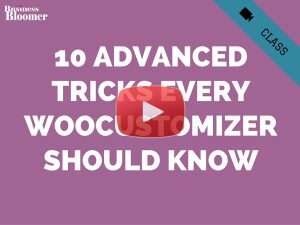 Try switching to 2017 theme for a moment and reapply the snippet – does that work? Worked perfectly. I didn’t need to sort 3 items! This still works. Have a bit of cleanup work to still do, but this still works. YAY! Can I ask why by removing the action using the original hook doesn’t work? Firstly thank you so much for sharing all this great information, the code worked and the items have now been removed from my website, thank you, however when viewing with a desktop computer there is a large white space, is it possible to remove this space? I’m using the Storefront theme. I’m unsure how to show a screen shot of this? Great 🙂 There is probably something to fix via CSS – if you give me the link I can take a look! Yes. wow. That works fine in flatsome theme. Yes – brilliant – thanks – worked for both DT and Mobile! I also tried that code. Unfortunately did not work for me. I am using flatsome. Is there a way to hide for mobile only ?? 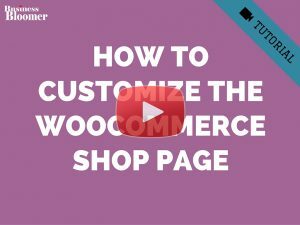 Schuhe, Flatsome is possibly overriding the default WooCommerce behaviour, so you’ll need to customize the snippet based on Flatsome coding. You can’t run PHP conditionally based on device size – you’ll need CSS in that case. Thanks Mike! CSS is not a great idea to hide elements as they will still be loaded by the server – however if someone needs a fast fix, your solution works perfectly. Thank you! The css solution worked for my theme (Catch Theme: Rock Star). Thank you. I tried several ways to change the sort function as I would like to have it. But with no success. on our website, we have in the drop down sort function 10 different ways to sort products / auctions. That is too much. In addition, some functions are the same/very similar. 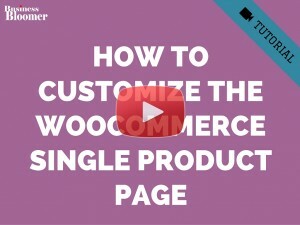 I assume they will be displayed from two different plugins (WooCommerce and WooCommerce Simple Auction). To adjust the sort functions in the drop down, I saved both codes of you in Design > Editor > functions.php and style.css of the Child theme. However, there are no changes in the dropdown to sort products. What do I need to do in order that only the named sort functions are available in the dropdown sort function? You rock! This worked so well. Removed the sorting from all views; desktop, tablet, mobile. I love it. Right now I only have 3 services to launch and sorting is not beneficial. FYI for other viewers and those commenting: I am using parent theme Divi and child them Startmetric. This snippet worked to remove the default sorting dropdown on desktop, but it’s still showing on mobile. Also, is there a snippet to remove the Filter icon (3 bars) that also shows up on mobile? Thank you Carole! Would you be able to attach a screenshot to your comment, so that I can be 100% sure of what you’re willing to remove? Thanks! First of all.. great website! Really valuable source! I’m using Storefront’s Galleria theme.. For the shop page, I was able to remove the default sorting and the result count but there’s still this pagination on the right side that I can not remove.. 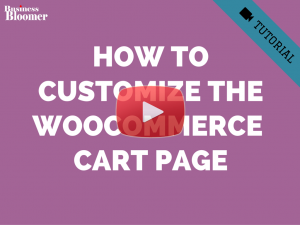 I did try to add the following..
but that didn’t do the trick.. Also I have the pagination twice so I guess there must be a woocommerce_pagination before the shop loop as well..? Any way to change the default sort on a specific category. Like on our new products page, I would like the default in the sorting dropdown to be “Sort by newness” and not “Default sorting”. Is there any way to do that? Thanks! Thanks for the hint, it worked well. However, the text “showing all 6 products” still displays on the page. Is there a way to remove this text, too? Thanks for this. However, sadly it also hasn’t worked for me. I’m using the Suisen theme by CSS Igniter. I created my own Child Theme functions.php and then added the first block of your code (on the assumption the 2nd one is irrelevant to me) – but the drop-down is still there (for sorting). Any ideas? Thanks again for the initial solution – it seems to work for most people which is great. Worked beautifully – much better than hiding with css. Thanks much! Sorry, disregard last comment. WordPress doesn’t list them alphabetically and it was under ‘Theme Functions’. I entered your code and it worked perfectly so thank you! What happens if I update the theme though? So, to avoid overriding your customization, you should create a “child theme” instead. If you need further information, please take a look at my relevant video tutorial. The did it as you said in the .php file, but it did not work. The website is made under a Sydney Child theme. Bruce, thanks for your comment! I’m not familiar with the Sidney theme, but it could be that they are already overriding the “Default Sorting” dropdown, so my fix (which is valid for a default WooCommerce website) wouldn’t work. The other option is that your remove_action needs to be delayed as it’s trying to remove something that has not been added yet. Take a look at snippet #2 to get the idea… try with placing the remove_action inside a function that is triggered by “init”. And it messed up the whole page and is now displaying placeholder boxes above my products. How do I fix this so it displays normally? Any help would be most appreciated – it’s urgent!! Hey Justin, thanks for your comment! First, I never suggest using display:none, that’s bad practice. 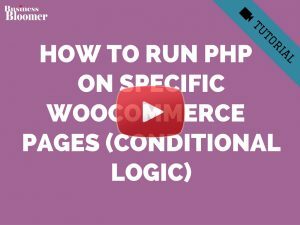 My solutions are both via PHP and allow your site to load faster. Having said that, those placeholders have nothing to do with your custom CSS. If you remove that CSS you added, do the placeholders disappear? 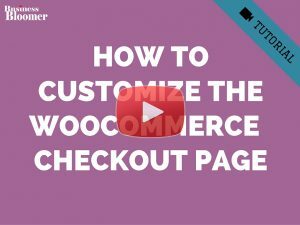 I’m not sure – in case you have to disable “Show categories and products” in the WooCommerce settings display. My problem is that the default sort dropdown menu is showing above my mean-menu from the theme Flatsome. Hey Shanti and thanks for your comment! I’m afraid I don’t own Flatsome, but my guess here is that the theme is already overriding and repositioning the “default sorting” dropdown elsewhere, therefore this snippet would not work. If you have time, try doing a file search trough the Flatsome PHP files to see if they already execute the remove_action – in that case the solution will be somewhat similar to the Storefront theme fix. Hope this helps! It worked to me also, thank’s and keep up the good work!! Your code snippet for removing default sorting dropdown worked for me, but I am having a different issue regarding the product sorting. In one site, I have six products having SKU value BPA-Donate-0, BPA-Donate-1 … … BPA-Donate-5. Even after sorting them in backend based on SKU value, frontend display is not maintained based on SKU value. Any idea why is it happening so? I have a problem. I´m helping a friend with his website. The problem is the dropdown only appear when I seach something, but in the rest of the shop is missing. Please, could you help me? Hey Luis, thanks for your message! Can you send me a screenshot or your Website URL? I’m not sure I fully understand your question and this would really help me give you a solution 🙂 Thanks! thank you ! works well ! Gracias ! Me funcionó muy bien! Thank you Karen for your feedback! Oh it worked. Your snippet in the comment section worked. I am so happy. Thank you..
hello sir, I am an artist. It is not working out on my site. Please help me Sir. Your suggestions did not work for me. The site I am working on is. I’m having the same issue as Kim. I use Storefront theme, and created a child theme (storefront-child). If I add the snippet to my functions.php, nothing happens. Any thoughts on this? Because i really want to remove the sorting box with a php action, and not the CSS solution. 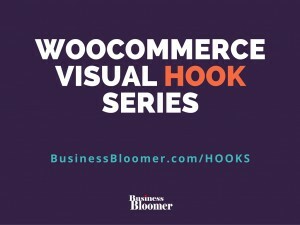 Ok Pieter, at this point I’m thinking Woocommerce might have changed the hook for this. I’ll check Storefront and let you know! Thanks for the fast reply and the new snippet. Unfortunately, it doesn’t work when I put this in my child theme functions.php, only if I put it in the main storefront theme’s functions.php . Not that it’s super important, I can re-add it when I get a storefront update :-), but it’s strange the child theme doesn’t ‘accept’ it. Ok.. Now it works also for me with the storefront-child theme.. Thanks Rodolfo.. Awesome Francesco – thanks for letting me know! Great! Thanks for this, Rodolfo! That last one works perfect. Just one question. The text ‘showing X results’ is still visible. Is there a simple way to remove that too? Awesome 🙂 Yes, to remove the “showing X results” there is another snippet I posted here somewhere. Just do a search and you’ll find it – if you don’t message me back! Thank you. It helpded me! works great. Keep it up. Awesome, Jack, thank you so much for your feedback! This didn’t work for me. I pasted it into my child theme’s function.php and I flushed the cache, but the sorting dropdown is still there. Any ideas as to why it’s not working? Hello Kim thanks for your feedback! This is weird, this snippet has worked for everyone so far! Maybe your theme or settings are slightly different. Did you sort this out already – otherwise feel free to shoot me an email and I’ll see what I can do. Cheers! Thank you very much I have tried many ways to try to get rid of the sort box and at last this one worked for me.